Don’t forget to submit your Proclamation Requests or follow up on them if they have already been submitted. Would you like to see your town, city or state celebrate National Garbage Man Day this year? 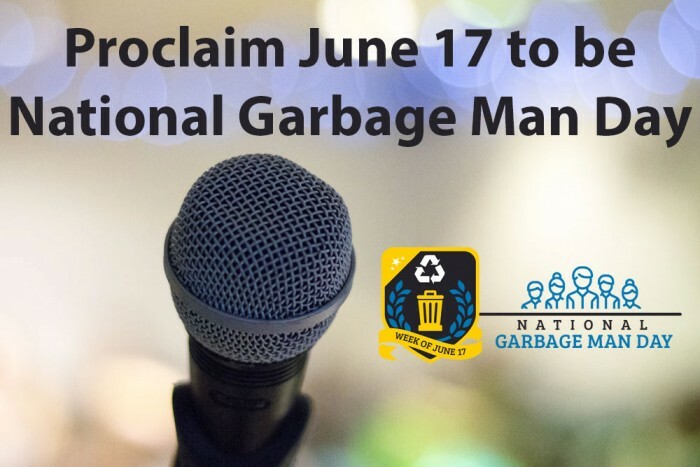 Now is the time to ask your Mayor, City Council and Governor to issue a proclamation recognizing June 17 as National Garbage Man Day.